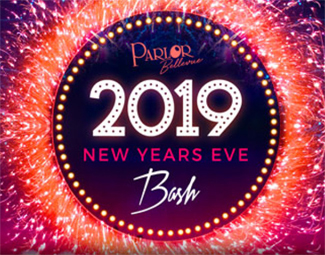 Ring in 2019 at the hottest New Year's Eve party on the Eastside at the Parlor Collection in Bellevue when hit band HALL PASS descends on Parlor Bellevue! Hall Pass Band covers rock and pop hits blending dynamic vocals and sound, and you won't want to count down the new year with anybody else! Enjoy safe and free covered parking in Lincoln Square. Get your tickets today! Tickets DO NOT include the 10th Annual New Year's Eve Comedy Classic ft. Mark Viera, Gary Cannon and more in the Parlor Live Comedy Club. To reserve a deluxe VIP Booth featuring dedicated service call 206-602-1441. 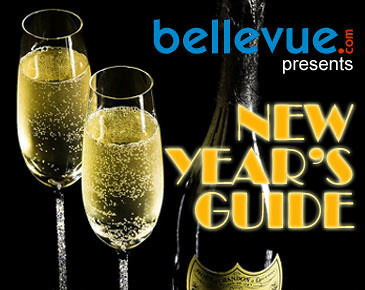 One complimentary bottle of champagne with VIP Booth reservations. Call now to reserve your space for groups of up to 10 guests. Parlor Bellevue is a 21+ facility. An automatic 20% service charge will be applied to all tabs. Pre-printing tickets is highly recommended.